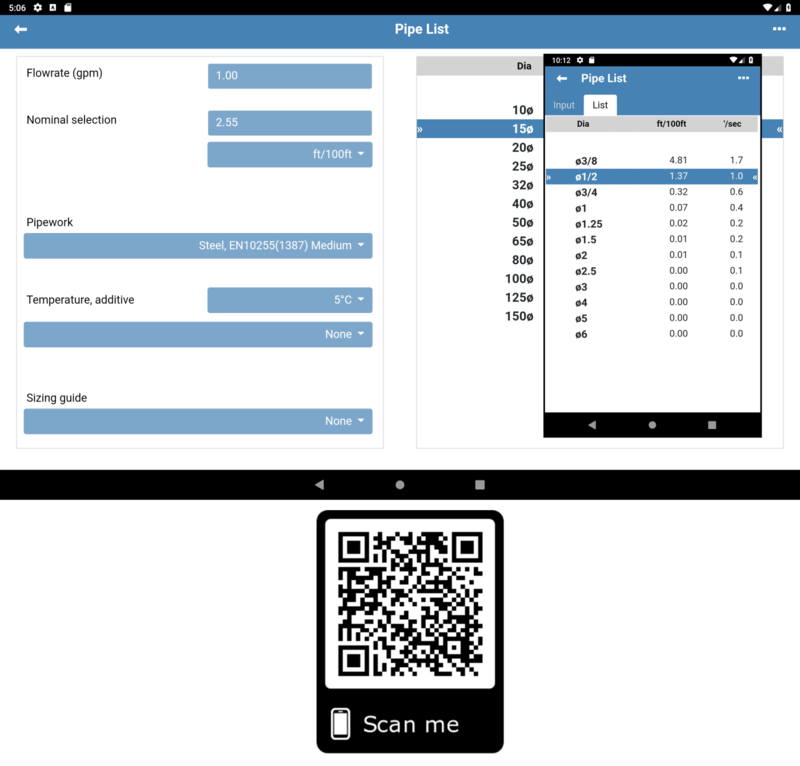 Developed from our Android/iOS/Windows Store apps, Blowpipe UV HVAC design software enables rapid sizing of HVAC pipes in a wide range of pipework materials, fluid temperatures and additives. Calculations also include pipe expansion, weight, heat transfer and pump motor sizing. Pipe-sizing calculations can be saved in project files and pdfs created. Blowpipe UV operates in either metric or imperial units, using calculation methods common to UK, Europe and USA, with international pipe data.